Grape seed oil is rich in unsaturated fatty acids, mainly oleic acid and linoleic acid, the linoleic acid content as high as 72%~76%. Linoleic acid is an essential fatty acid, easily absorbed by the body, long-term consumption of grape seed oil can reduce serum cholesterol, effectively regulate the autonomic function in people. Grape seed oil is rich in vitamin E, has strong oxidation resistance, can effectively prolong the shelf life, is not easy to cause the oxidative rancidity phenomenon caused by light, heat radiation and contact with air. Because of its relatively stable performance, as well as cooking oil at the table eating and used to produce various kinds of food, one of the important raw material of grape seed oil or the production of high-level cosmetics and pharmaceuticals. Grape seed oil also contains essential potassium, sodium, calcium and other minerals and a variety of fat soluble and water-soluble vitamins, suitable for the elderly and infant nutrition food, health food and food steeplejacks. Trait Light yellow or light green, tasteless, delicate, fresh and not greasy, the largest producing area in China. The most commendable is grape seed contains two important elements, linoleic acid (linoleic acid) and proanthocyanidins (Oligo Proanthocyanidin, referred to as OPC). 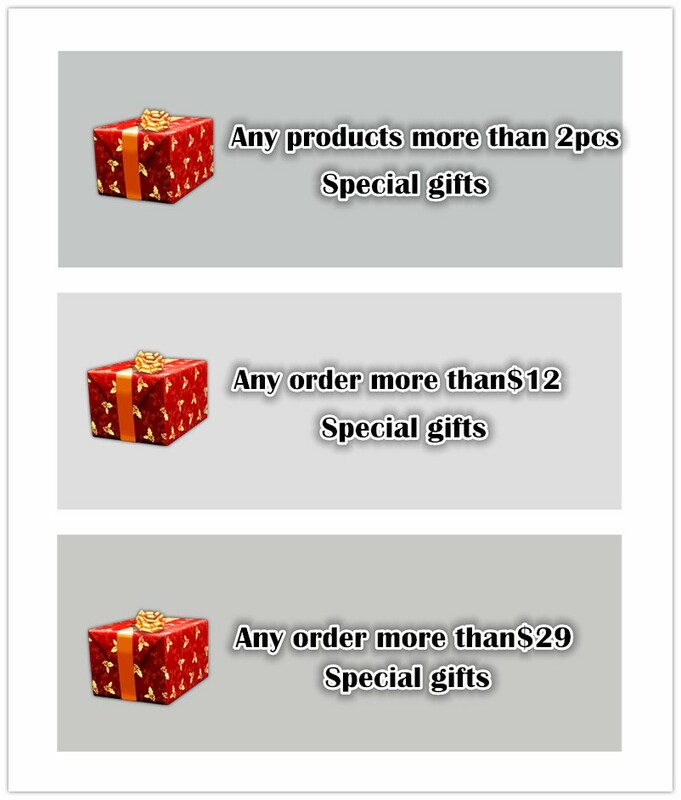 Linoleic acid is an essential fatty acid and the body can not synthesis, can resist free radical, anti-aging, help the absorption of vitamin C and E, and strengthen the circulatory system flexibility, reduce UV damage, protect the skin collagen, improving the vein swelling and edema and prevent pigmentation. OPC has the protection of vascular elasticity, prevent cholesterol and reduce accumulation of platelet coagulation in the vascular wall. For the skin, procyanidins can protect the skin from ultraviolet radiation poisoning, prevention of collagen fibers and elastic fiber damage, keep skin elasticity and tension due, prevent skin sagging and wrinkles. 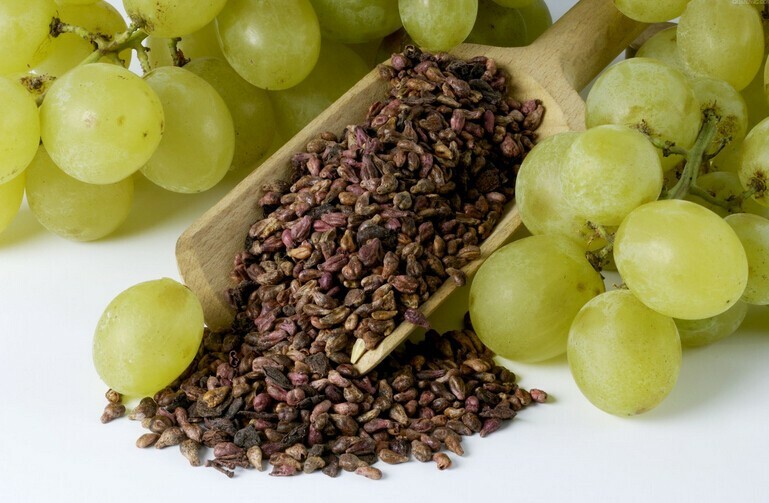 Grape seeds contain many powerful antioxidants, such as natural organic acid, cinnamic acid and pumas cow acid vanillic acid etc, these are the elements of antioxidant. Application: strong penetration, can make the facial massage and treatment, especially the delicate and sensitive skin, oily skin, acne, acne. Rich in vitamin F, minerals, proteins, can enhance the skin moisturizing effect, while moisturizing, soft skin, light and non greasy, easily absorbed by the skin. Nutritive value Grape seed extract OPC has strong antioxidant capacity, is 50 times that of vitamin E, can delay aging, prevent arteriosclerosis, also known as the skin vitamin, vitamin C is times, of which the phenolanthocyanins, according to the fat soluble and water-soluble characteristics, whitening effect. To protect the skin from the deep, from the skin from environmental pollution; accelerate the speed to promote the shedding of dead skin, The new supersedes the old., prevent pigmentation; repair the cell membrane and cell wall function, promote cell regeneration, restore skin elasticity. The effects of 1, antioxidant, dilute the stain 2, endocrine disorders caused by dry skin, reduce melanin, whiten skin, remove chloasma; 3, stimulate cell division and tissue regeneration, activation of the surface cells, reduce wrinkles, anti-aging; 4, inhibit and eliminate free radicals, anti-cancer anti allergic effects. 5, anti prostate cancer, anti liver cancer, but also against damage to the nervous system. Method of use Direct smear alone, or add 5-6 drops of pure essential oils in 10ml drops of grape seed oil. Skin care: Relatively dry autumn and winter skin, especially the hand joints, feet and other parts of the elbow joint and easy to dry and wrinkles, base oil has a moisturizing and maintenance role, can restore the natural elasticity of the skin. Three times a week when ordinary dry cleaning, especially dry days with a daily wipe. Or take a shower after every time for general maintenance of the skin’s oil, is the ideal body oil. Direct smear or when mixed with essential oils base oils, gentle and easily absorbed the characteristics, is ideal for face and body oil. Collocation Grape seed oil is rich in vitamins, minerals and protein, suitable for all kinds of skin, can promote the back hole detoxification. 100% body massage oil. The grapes in the Doven and grape seed oil can be an effective anti free radical, anti-aging, reduce pigmentation, so one of the beauty of base oil grape seed oil is the most commonly used. Skin care 1) 10ml grape seed oil + 2~5 drops / Rose / Yilan / orange / Geranium – increase the elasticity to prevent aging. 2) 10ml grape seed oil + 2~5 / Lemon grapefruit / Rose Whitening skin. Body massage 1) 10ml grape seed oil + 2~5 drops of Eucalyptus / Lavender / rosemary / Basil / Mint – the treatment of rheumatoid arthritis. 2) 10ml grape seed oil + 2~5 drops of lavender Geranium Bergamot / lemon – treatment of varicose veins. 3) 10ml grape seed oil + 2~5 drops of rosemary / Mint / sage / pine – relax the muscles. 4) 10ml grape seed oil + 2~5 drops of Lavender / chamomile / Rose / jasmine / Orange Blossom – ease the spirit. 5) 10ml grape seed oil + 2~5 drops of Lavender / rosemary / lemon / Grapefruit / Geranium – lose weight. Hair care 5ml grape seed oil + 3~4 drops of lavender Geranium rosemary for hair, sparse. The bath maintenance The shower can moisten dry skin with 5ml.